My brother, who is Downs, also autistic spectrum, and with a dose of brain damage at birth thrown in is almost certain to live in an assisted home of some sort. I’m frightened that people won’t take proper care of him or will take advantage of him. So my main idea is to raise money so that you can help stop it happening. Madi is raising money in an incredibly physical, and hugely impressive way, by paddling 125 miles in a race known as the Canoeist’s Everest. This race is a mean feat for anyone, never mind a 15 year old. Not only do they race 125 miles over four days but they have to carry their boats around 77 locks on the route. I’m paddling in the 125mile Devizes to Westminster race #dwcanoerace. Historically a bet, but now grown into an annual international marathon race. I’ve paddled racing kayaks since I was 8 years old and I’m the youngest taking part this year. I’m racing with my coach (Ian) in the junior vet class. We’ve been training throughout the winter and really started in late October to train hard. 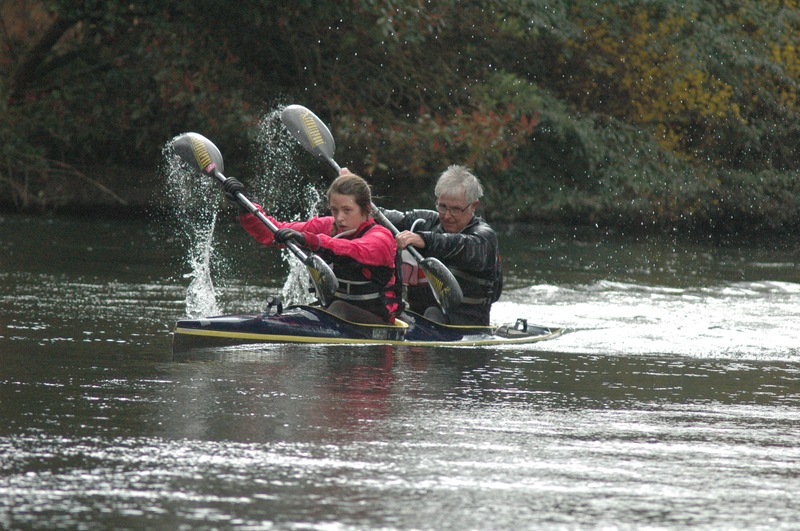 Finally Madi’s family are supporting her and you can tweet Jo here or George here, if you’d like to wish Madi luck or send her a message and let her know how truly awesome she is (and indeed her whole family is for supporting us; you don’t get to paddle 125miles without a lot of support). Thank you Madi, Ian and Team Barnicoat. This entry was tagged #dwcanoerace, 107days, 125 miles, Boat 54, canoe race, devizes to westminster canoe race, Ian, justiceforLB, Madi Barnicoat, paddle, paddling, paddling for Justice, paddling for JusticeforLB. Bookmark the permalink.